Not many manufacturers would call a model that can sprint from zero to 62mph in 3.5 seconds and reach 124mph just seven seconds after that a sports car. 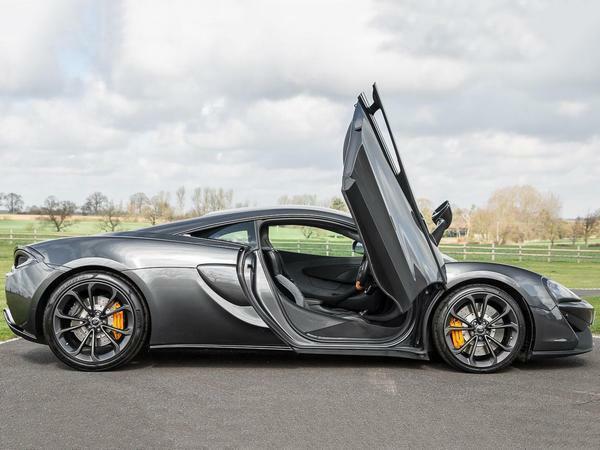 But in the world of McLaren, the 540C is very much a 'Sports Series' offering. It's the manufacturer's entry-point, after all, offering the least power and most relaxed setup of any current Woking car. Perhaps it's for this reason that a three-year-old example of this cheapest McLaren - which, we should remember, is also capable of 199mph - can be had for less than £100k. See today's Spotted for proof. It may be the baby of McLaren's range, but the 540C is every bit of the class-surpasser its more potent siblings have so consistently been. For starters, the car uses hardware that essentially comes from the segment above. Yes, the MonoCell II tub sits on slackened, more forgiving suspension to give the 540C a better ride, while the Ricardo-built McLaren 3.8-litre V8 has been retuned so it produces 540hp - 30hp less than the next McLaren in the range. Sure, the turbocharged engine can't evoke emotion like Audi's R8 V10 and the Porsche 911 Turbo S is more explosive on the road. But the McLaren is arguably the most complete driver's package of the bunch, certainly nothing works its parts with better cohesion. Only a car with innards as rigid as this could offer such a vast array of handling traits. The 540C's ride is supple, its damping beautiful and body control brilliant. 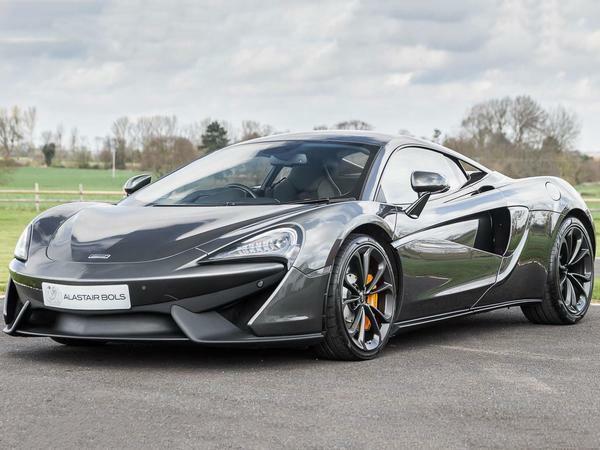 It achieves this without the need for active chassis technology, as used by higher-priced McLarens, relying only on more conventional three-stage adaptive damping to give the car its broad personality. It's also about as long as a mid-sized hatchback and visibility and access is very good indeed. As far as daily sports cars go, then, this one's easy to live with. Spec one right, as the previous owner of this 540C has, and it can really look the part, too. Painted in Storm Grey with matching alloys that hide orange calipers, it's a discreet but purposeful looking 540C - one that ought to attract looks of admiration, rather than disapproval. 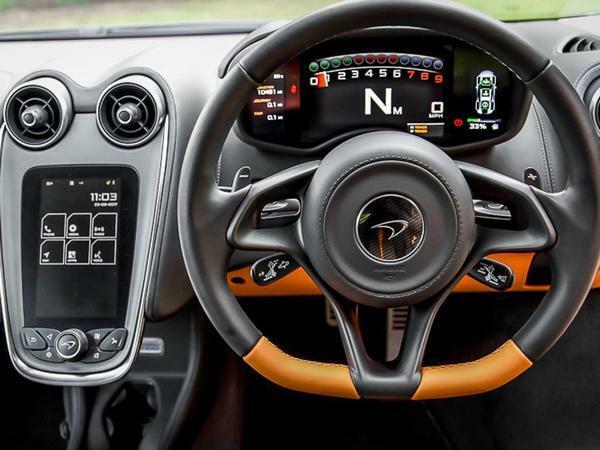 The matching interior colours make for a sporting, but far from garish cabin, too. And the former owner continued their good form with the speccing of an optional front-lift system and soft-close doors. For someone with £98,950, then, a McLaren as broadly talented as this must be extremely tempting. Question is, where would your money go? That is a LOT of car for the money. My like/dislike of McLarens seem very spec driven. This one is a corker & the only thing I would change would be orange seatbelts! If I had £100k knocking about this would be a serious contender to have in the garage to use as a weekend & road trip car. Would probably end up with a £50k Ultima and a few 80’s & 90’s Bmw’s instead though.